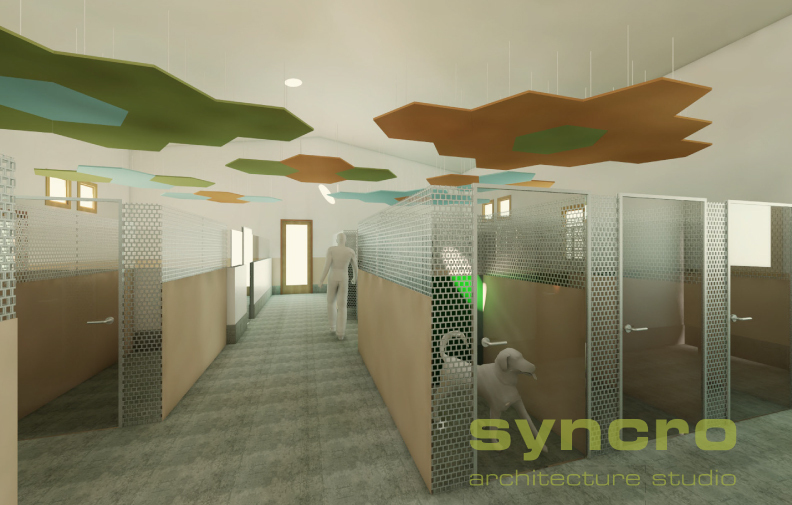 Pawderosa Ranch, “The Best Dog Daycare and Overnight Lodging in San Antonio,” has announced the project we have been designing here at SYNCRO Architecture Studio. Initially, we conducted a feasibility study to determine the site’s redevelopment potential and have subsequently completed rezoning, re-platting and zoning variance request services. We are currently in design development phase. 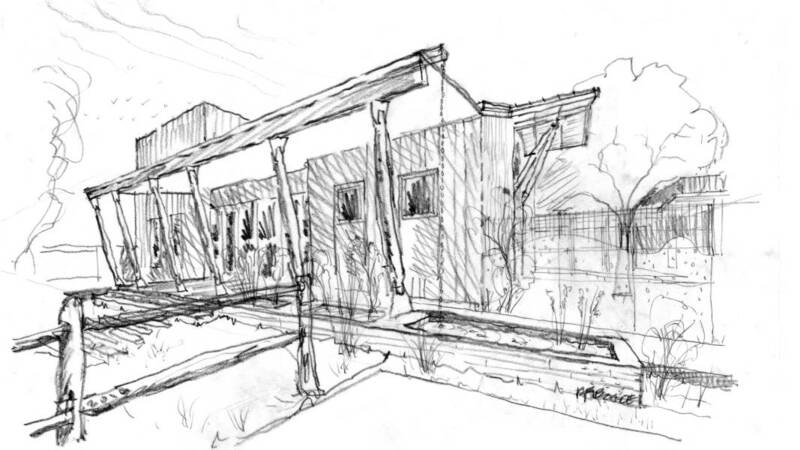 An existing “ranch” theme provides rustic inspiration for a regional contemporary architectural solution. Sustainable design is part of the client’s home-away-from-home-for-your-dog business formula. Western Red Cedar, epoxy flooring, log struts and digitally designed and fabricated steel plate connectors and decorative fencing are working together to bring high-tech and low-tech together into a functional fusion. High-performing, low-maintenance, and sanitary surfaces are being developed by the design team for seamless integration in the design concept. 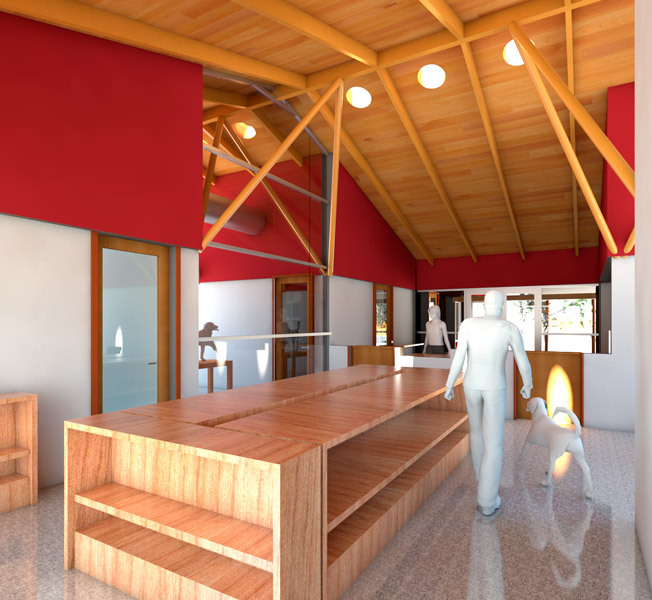 Existing warehouse and transition to Coffee and Cacao Roasting, Cafe, Women-Owned Import/Export Business Training Center. The owners of this local coffee roasting company with global commerce hired SYNCRO to assist in planning for a new location, to be determined, near downtown San Antonio. A preliminary program and estimate of probable floor and site areas was developed upon which a budget can be formed. Bogle sketched experiential concepts while simultaneously using building information modeling, or BIM, for parametrically generating a programmatic analysis model and visualizations. By providing both spatial and qualitative visualizations (hand sketches) along with the quantitative information (complete building program diagrams), clients are enabled to make sound decisions on prioritization of improvements. An existing warehouse facility has been the subject for conceptual phase feasibility services provided by SYNCRO. 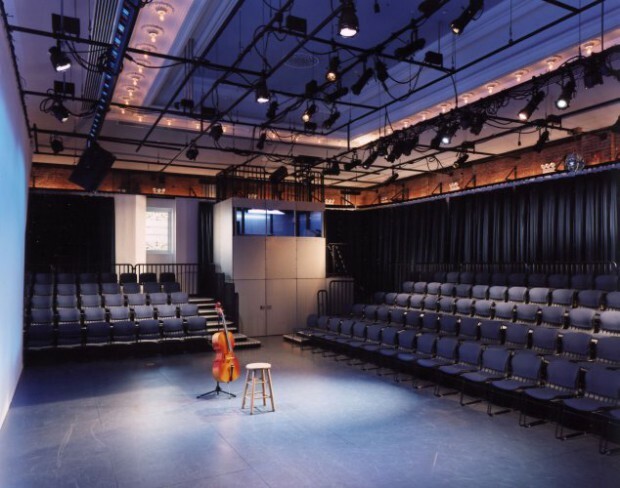 The upper school’s advanced drama, dance and music programs were in need of a safe, comfortable performance space. Additionally, the school was in need of a room for large lectures. 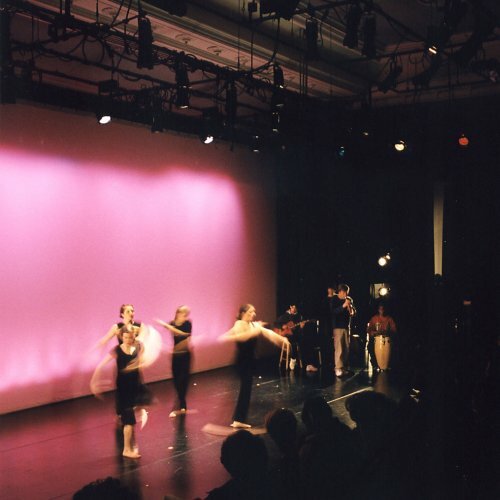 SYNCRO, with theater consultant Fisher Dachs Associates, proposed a flexible environment to satisfy these diverse requirements. This competition-winning, sustainable solution was selected by the leadership of CPSE along with the environmental lab user-group. Comprehensive architectural and engineering services were provided under Bogle’s design direction. The Karnes County Offices on the Square is a new energy-efficient office building providing flexible space for several county department offices. The building has a strong civic identity and demonstrates state-of-the-art energy-efficient and innovative design features. A new multipurpose room accommodates courtroom functions, community meetings and large training sessions for county employees. Karnes County departments, formerly housed in multiple locations, now benefit greatly by sharing space in a single building close to the historic county courthouse. The shared public spaces of the building enhance interaction among citizens and county employees strengthening the sense of community and pride. This project presents an opportunity to acknowledge and honor the rich and varied history of Karnes County while speaking to its future and potential. An additional consideration is that this building, created very much in the here-and-now, came at a time of economic uncertainty and opportunity. The Karnes County Offices on the Square therefore has an extraordinary responsibility to three phases of time: past, present and future. As the architecture firm selected for the project, SYNCRO Architecture Studio, articulated that vision through the design of the building. One attractive aspect of the project is its setting. Situated just west of the courthouse, near the top of the hill, within historic downtown and on the Courthouse Square provided a rare opportunity to reinforce important historic building patterns of the region. Curved roofs, a covered porch that spans the length of the building, brick façades and storefront window treatment all pay homage to local history and design. The architectural form combines characteristics from local agricultural and urban building traditions, but has a contemporary appearance. 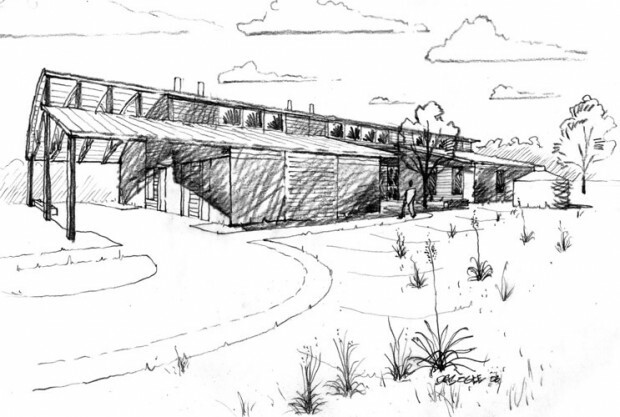 Curved metal roof forms are a reference to the local pattern of curved-roof hay barns in the area, and the ever-present agricultural heritage of Karnes County. Though the building is contemporary in aspects of form, technology and material, it is through its simultaneous presence as a traditional brick building defining the street space and public square that it evokes a strong relationship to the historic urban fabric of Karnes City. The building’s position on the site efficiently allows for future expansions and enhances the prominence of the historic Karnes County Courthouse both by defining the square’s west side and by continuing the line of “main street” commercial buildings closely facing West Calvert Avenue – bookending the historic courthouse which is somewhat set back from the street. The future is addressed by incorporating energy efficient systems and long-life, low-maintenance materials. With the goal of low-maintenance in mind, the exterior finish of the building is a custom blend of bricks chosen to be similar to those historically used in Karnes City. The red brick body of the building makes the new building a part of the main-street building fabric, while accent bricks complement the yellow sand brick of the soon-to-be-restored historic courthouse. Autoclaved aerated concrete (AAC) block walls are structurally load-bearing and are designed to withstand 100 mile per hour wind forces. Additional energy benefits are the thermal mass and the insulation value of this material. Galvanized steel overhangs and porch coverings provide a low-maintenance, durable finish while shading the west, south and east facades for energy savings. The integrated daylighting system incorporates these overhangs, high-performance low-e glazing, light shelves, occupancy-sensors and light-sensors to provide natural ambient lighting throughout the building and to automatically switch lights off when unnecessary. A variable-refrigerant heating ventilation and air-conditioning system uses soft-start variable speed compressors, and energy-recovery ventilators provide efficient conditioning of fresh air. Outdoors, xeriscape landscaping was designed to include native, drought-tolerant species and strategically located shade trees. Initial costs of roof and wall insulation were analyzed against long term savings to provide Karnes County with the most effective use of available funds for the project in both the near-term and long-term. Orientation of the building mass in an east-west rectangle takes advantage of solar orientation for maximum energy-efficiency and the best use of the sun’s energy for interior lighting while minimizing solar heat gain. Investment in low maintenance materials and an energy-efficient, integrated architecture will prove economically frugal over the 50 plus years of the life of the building. 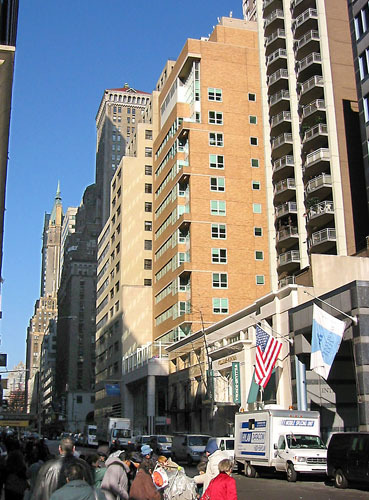 Natural daylighting throughout the building enhances the present day-to-day use of spacious, flexible accommodations. Configured to step down the existing site, the building faces three frontages which all have at-grade, accessible public entries eliminating the need for exterior ramps. Inside, a generous corridor provides a strong sense of orientation, visibility and plenty of break-out space for busy meetings and public proceedings. Since the recent economic boost of the Eagle Ford Shale Region oil and gas development began, Karnes County Offices on the Square represents the first major new public building poised to usher Karnes County into a more sustainable future. SYNCRO architecture studio provided complete architectural and engineering services from programming through construction administration. Brick veneer, load-bearing autoclaved aerated concrete (AAC) for thermal-mass and insulation, steel trusses, architectural roof/ceiling deck, metal roof, galvanized steel, glass, aluminum and integral-colored concrete, variable-refrigerant heating ventilation and air-conditioning, energy-recovery units. Structural Engineering: Lehmann Engineering with SWStructural, Inc.
Landscape Architecture: CFZ Group, Inc.